iOS & Android apps with clear design and smooth performance due to advanced integrations and data processing. Thanks to various visual solutions (animations, design patterns) user experience are astonishing. User can choose from 100,000 different things in over 200 categories. Dedicated webview allows straight access to the news and makes it easy to share via social media. Personalized messages when there’s important news on selected categories. 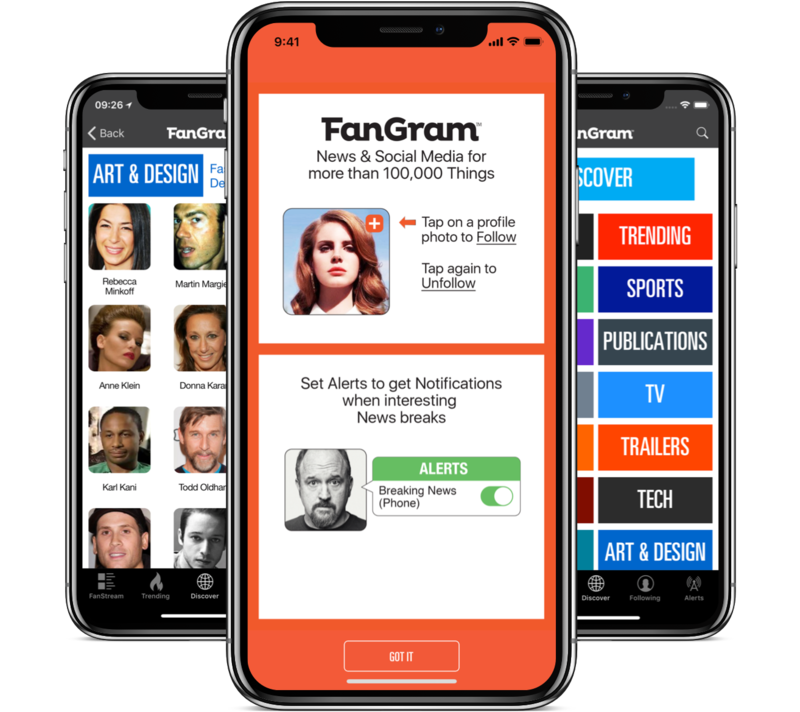 App collects the data from the most popular social networks and news platforms: Facebook, Instagram, Twitter, YouTube, RottenTomato, Tumblr, Metacritic, Wikipedia. The most popular information are easily grouped in Trending category to make the access to the hot news much quicker. Despite the high volume of content packed inside, the app works smoothly thanks to Material Design used in Android app and iOS guidelines in iOS version.